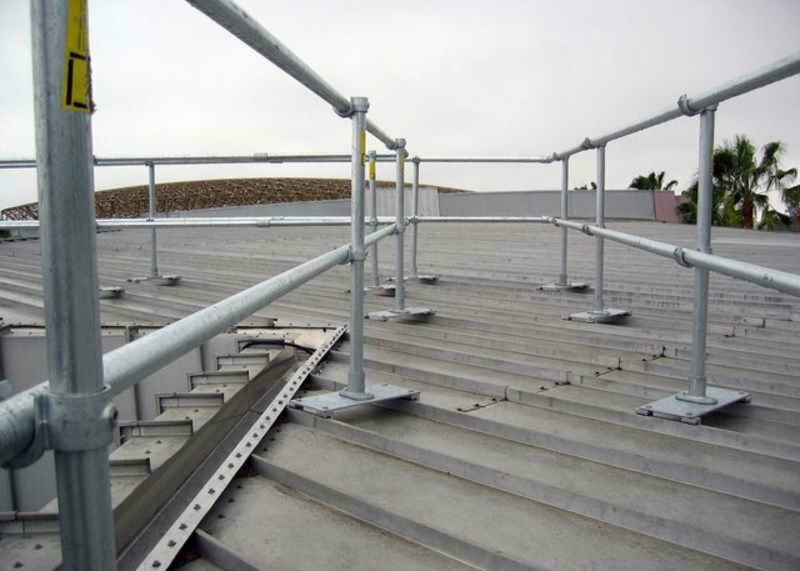 Our railing clamps to the seam of your roof, without penetrating. This ensures that your roof stays intact and sealed from the elements. 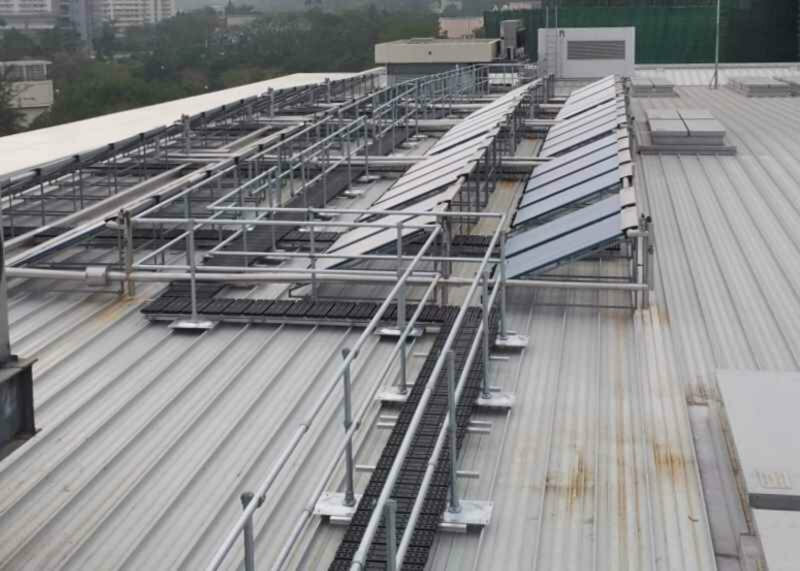 As opposed to lifelines and anchors, standing seam railing protects any number of workers on your roof. 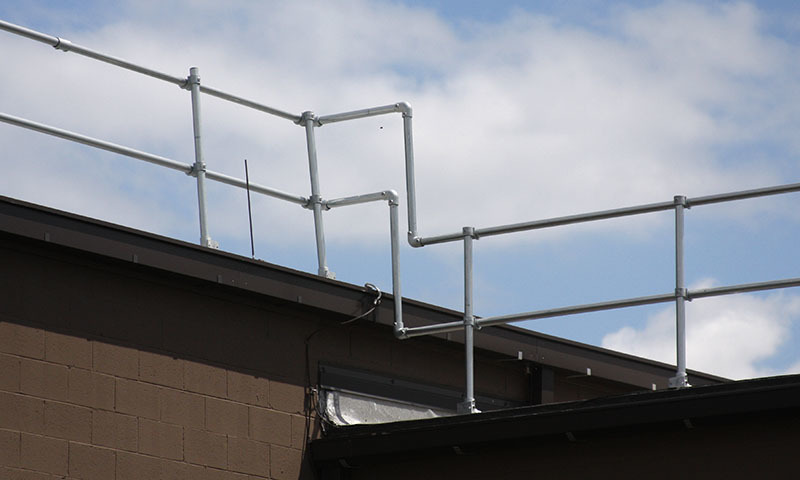 Universal clamps allow our railing to attach to most roof profiles without custom engineering. 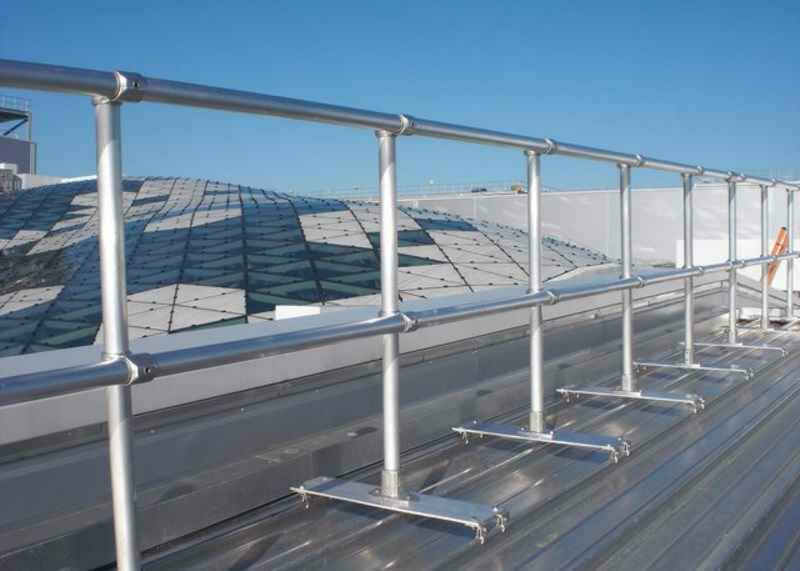 Engineered to exceed OSHA and other global standards, rest assured your railing will keep your site safe and compliant. Simplicity is critical when considering installing a safety product. Not only does it directly affect your bottom line cost, it also reduces the time workers need to be exposed to hazards during the installation. Our railing takes simplicity seriously. Railing is the safest form of protection when workers need to be exposed to a fall hazard. 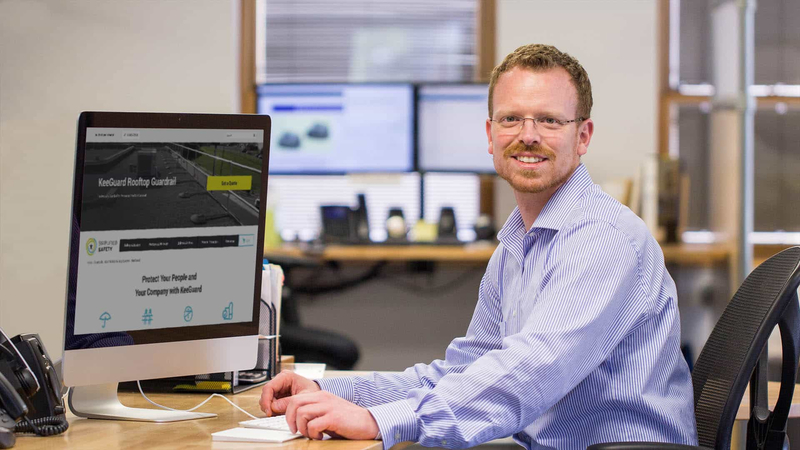 KeeGuard takes this a step further by exceeding compliance requirements and including redundancies, resulting in safety, compliance, and peace of mind. Corrosion kills safety systems. A corroded railing can become unsafe without your knowledge. We use galvanized fittings and structural tube with industry leading finishes. Each individual component is considered to ensure durability, safety, and the protection of your investment for decades to come. A great product is not all that is needed for safety and compliance. Where you need protection, how to install, and how to use your system are all equally important. We have a team of safety professionals that have made it their career to be experts in fall protection and are ready to provide advice without pressure. KeeGuard for standing seam roofs requires no special labor or tools to install, making it one of the most cost effective permanent solutions. A crew of 2-3 workers can install as much as 600lf in one day. Simplified can assist your team from a distance with drawings, installation instructions, videos, and even video conferencing. Let us help you have a successful self-installation! If you would rather we handle your project from start to finish, we can take it from here. We will deliver the product to your site, lift it to your roof, comply with regulations and your internal safety protocols, install the system, and leave you with the peace of mind that your company is protected from unnecessary liability. Quote on Standing Seam Railing?